I thought I'd start (another) new blog series, this one on the books, as I am a massive bookworm. 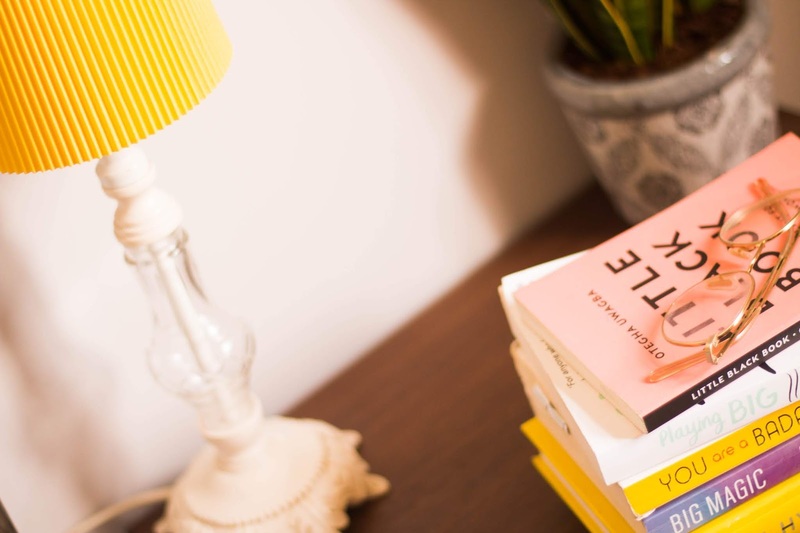 where I want to discuss several books for different genres in each post, including the ones I've loved, what I'm currently reading and those on my to-read list. So today I wanted to jump right in with career books. 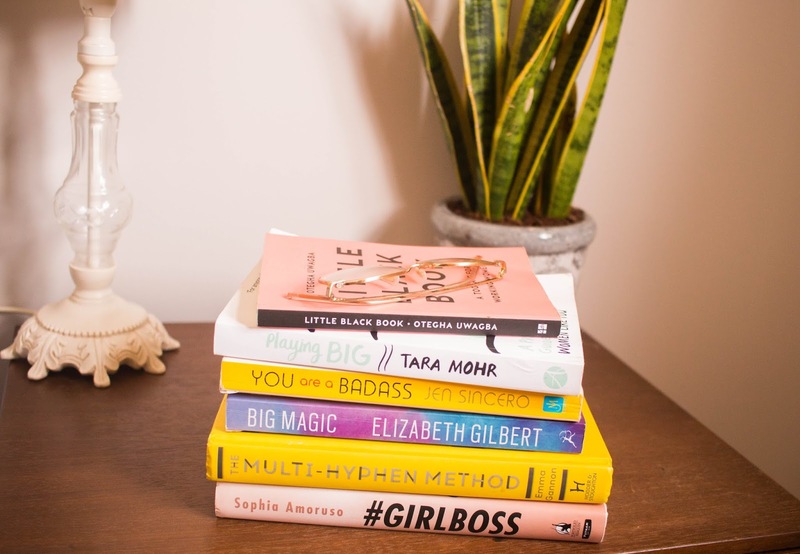 I've noticed especially over the last year or so, a lot of stigma surrounding self-help career books is beginning to dissipate, and rightly so. 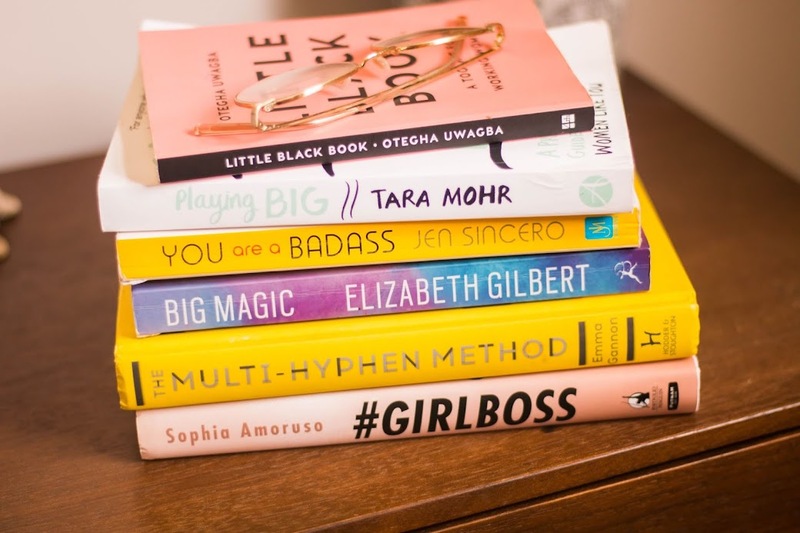 Now we proudly show off the career books they're reading on Instagram and the genre seems more popular than ever, which personally, I'm over the moon about because I'm always looking to read something which can help with self-improvement. I think it's important to always try to better yourself, and career books seem the perfect way to do so. I heard endless good things about this book, so could help but pick it up. I'm a little shy of 100 pages in, I'm finding there are some points in the book I love, and there's a lot to learn from it. However, certain parts feel too dragged out, which make them slightly boring and repetitive. Having said that, what the book teaches I feel could be life-changing. It explains how to stop fear holding you back, and how to 'play big' in whatever way is right for you. I've read this book twice, and I think it's probably the best ' self-help' style book I've ever read. It is full of advice and wisdom on how to live to your full potential. I know any description I give it, will not do it any justice, so I'm just going to advise you to give it a read. 'You are a badass' (along with Big Magic) got a mention in this blog post. Big Magic is a book about living creatively. It personifies creativity, talking about how it finds you if you are open to it, and how creativity moves between people if you ignore it for too long. I'd never heard creativity described like this before, but on reading this something clicked, it's the only definition of creativity which I have found myself nodding along to. There's a lot of knowledge in this, but I think you need to be open-minded to use that knowledge to its full potential. If you're a creative person, this book is eyeopening and wonderful. Here's a blog post I previously wrote about the things Big Magic taught me. This pocket-sized book is full of practical advice when it comes to careers and living successfully. From budgeting and knowing your worth. It's written in small sections which makes it easy to pick up and put back down. I have had a copy of The Multi-Hyphen Method since it came out, and somehow still haven't got around to reading more than the first chapter, mainly because I want to make sure I give it my full attention when I read it, rather than reading it whilst I've got other books on the go. I love Emma's writing and I most certainly see myself as a multihyphenate so I am excited to dive into it. Please let me know any of your career book recommendations, and your thoughts on any of these if you've given them a read!